Whimsical illustrations and language teach children the fundamentals of service to others. Read the Bible with children, at their reading level. This revised volume makes learning Bible stories easy. This booklet addresses the emotional, physical and spiritual anguish bereaved parents experience and communicates the Gospel's hope. Through brief Gospel-focused readings and Scripture verses, this small book offers refreshment and renewal for the exhausted caregiver. 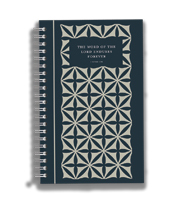 Especially for college students, this compact devotional allows for moments of meditation on God's Word. This booklet of prayers, meditations, hymns, and Scripture verses offers encouragement and guidance for the cancer survivor. College 101 is filled with practical advice on preparing for life on campus. Kids learn about the people, places, and culture of biblical times through illustrations, maps and more. Get questions about people, places and events of the Bible answered in this book.